Happy International Women’s Day! My favorite beauty offers are new Spring beauty bundle gift bags at B-glowing and Lord + Taylor! Plus, there are really nice offers at Ulta, Laura Geller, Biotherm, Space NK, Shu Uemura, Bluemercuty, and more Over 50 hot beauty gift with purchase offers for you! b-glowing (NEW) Get a complimentary 9-piece beauty bundle ($100+ value) with b-glowing orders $100, ends 3/13. This post may contain affiliate links. Read the full disclosure. Here is the list of the 10 best places to get your luxury beauty gift with purchase in 2018. I’ve been reviewing beauty gift with purchases for years, and every year there are more stunning gifts! I’d like to provide a very critical view of how they can be way better. Also, let’s vote for the best place to get free gifts in the comments below! The Ten Best Places to Get Free Beauty Gift with Purchase 2018 #10 B-glowing Macy’s and Cos Bar almost made it here but this year #10 is b-glowing, an Oregon company, shine baby shine! See why they worth mentioning! This post may contain affiliate links. Read the full disclosure. Lord & Taylor sample-filled bag beauty event with $100 + 15% off all beauty and the first Clinique holiday purchase with purchase. Urban Outfitters is offering 30% Off Beauty Event over 1000 items including Anastasia Beverly Hills Sultry Palette or Sunday Riley plus many more… Lord & Taylor (NEW) Receive a complimentary Lord & Taylor duffel bag in neon yellow or Cobalt filled with beauty samples with your beauty or fragrance purchase of $100 or more. (NEW) Clinique Best of Clinique 8-Piece Set, Yours for $49.50 with any $29.50 Clinique Purchase – A value of over $210. This post may contain affiliate links. Read the full disclosure. REN SKINCARE USA is offering IcanGWP readers an exclusive online promotion! Buy $50 get a free $50 gift! It’s great on all REN stocking stuffer or holiday kits! REN (NEW) IcanGWP readers exclusive: Enjoy a free REN Seriously Good Set ($50 value!) with any $50 purchase. This post may contain affiliate links. Read the full disclosure. I just made my order at Nordstrom, find out more below. Space NK USA will have a very nice buy one get one half off haircare promotion coming next Monday! Space NK US (Upcoming) This coming National Hair Day, on Monday October 1st, we’ll be serving up a Buy One Get One Half Off promo exclusively on our haircare products for one day only. This post may contain affiliate links. Read the full disclosure. 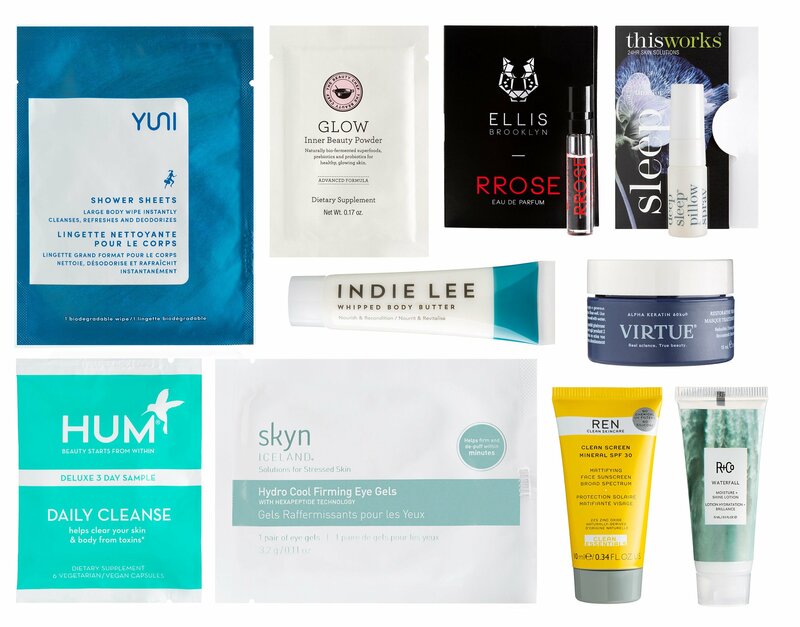 There are three nice beauty gift bags available today at Bluemercury, B-Glowing and Free People + extra discount codes and today’s GWP updates. Bluemercury (NEW) Receive The Expert Edit: All About Eyes gift featuring 5 of our favorite eye products with your $100 purchase in stores or online. Use Code: EXPERTEYE. Valid thru 9.30. This post may contain affiliate links. Read the full disclosure. Ulta 21 Days of Beauty Event 2018 has begun: ulta.com/21days/. This is the biggest event from Ulta, get daily steals 50% off and more! Plus, I’ve rounded up top 11 Labor Day Beauty Deals 2018 for you! Have a great weekend! Ulta (NEW) Lime Crime Venus Palette I, II and III $19 (reg $$38). This post may contain affiliate links. Read the full disclosure. Clinique fans, there is a nice flash offer for 11pc 7pc gift on any $40 purchase. Plus, 11pc gift bag at Skinstore, 25% off Jo Malone and so much more. Over 30 hot gift with purchase offers and beauty deals. Clinique (NEW) GIFT 1: Friday Flash offer! 7 pretty pieces FREE with $40 purchase use code PRETTY. UPDATE: Thanks to our readers Mia and Patty. The Clinique offer is 7pc gift with $40. This post may contain affiliate links. Read the full disclosure.